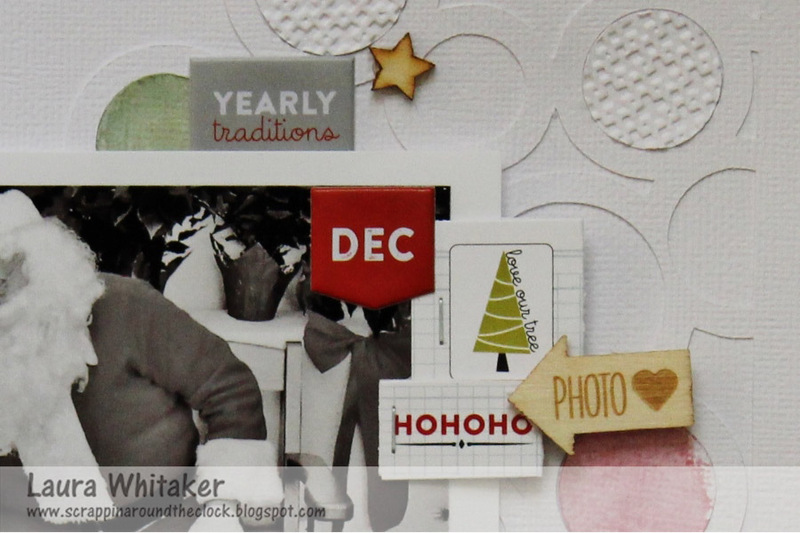 Laura here today sharing this holiday page with you all! We have a family tradition of taking our pup to the local SPCA for pictures with Santa, it helps them raise a little money, and gives us a scrap-able memory ;) This is last year's photo. I was away, so my husband made sure he took our youngest and our pup. Unfortunately our son was wearing bright yellow! For Christmas photos? Obviously he is not the scrapper, lol! Anyway, I scanned the photo into the computer and converted it to black and white, and it worked out perfectly for this page! I kept all my colours really quiet so that the amazing Evalicious 'Oh What Fun' goodies really pop! I created this half tree digital cut file with various sized circles just for this page, filling in some circles with water colour paints that accent the embellishments, other circles were filled in with embossed with cardstock. 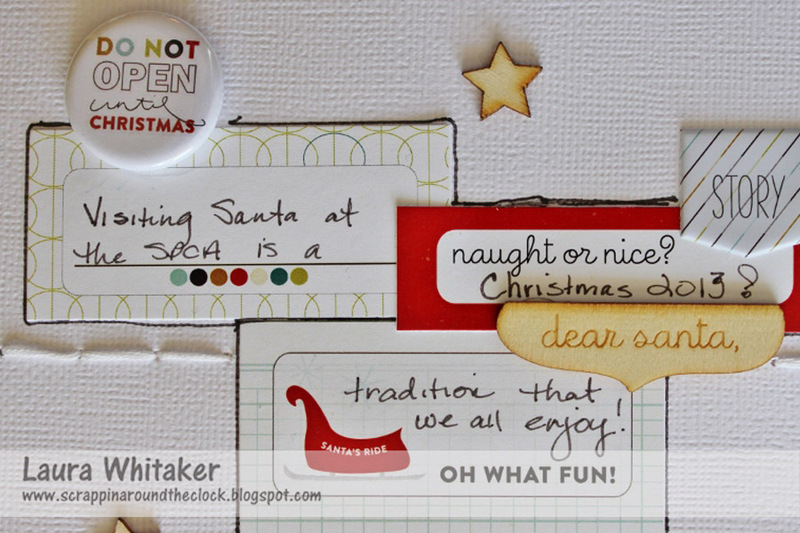 I used a few of the snipsnip labels to add journalling to the upper corner of my page, sprinkling in wood veneer and badge buttons, as well. I am in LOVE with these wood veneers! And badge buttons, this is such a fun collection! My title was die cut in white, for a tone on tone look, but I doodled around it for a bit of pop. 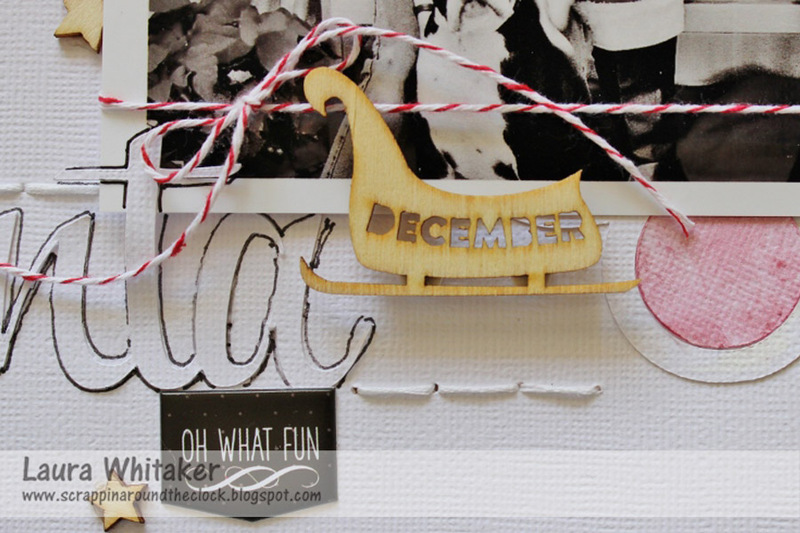 Puffy stickers, page tabs and more wood veneers finish off the page! 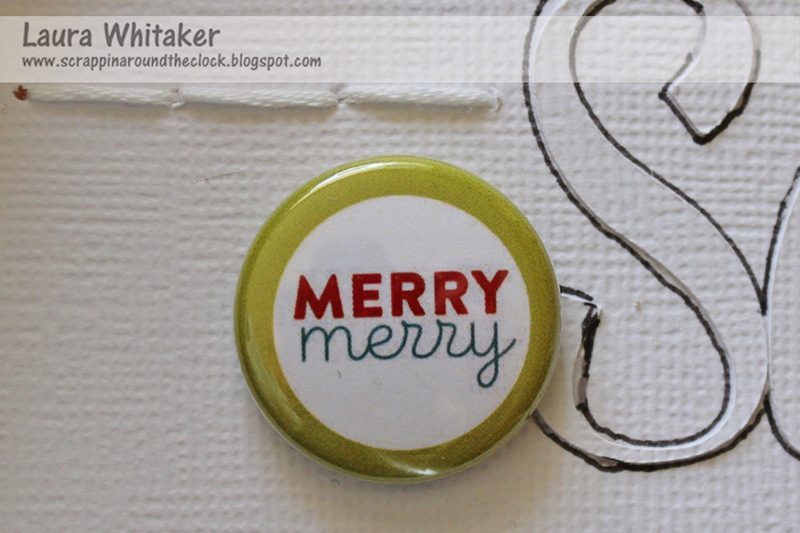 Other Products: American Crafts cardstock, My Mind's Eye baker's twine, Tim Holtz Tiny Attacher, Staedtler pen, misc. water colour paints, DMC floss. 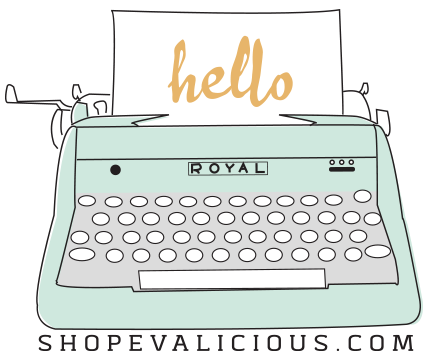 I have a fun Evalicious giveaway going on over on my blog, I would love for you to pop over and find out how you can enter! Really cute!!! Love the filled in circle design! And the adorable wood sleigh!